Welcome To Bonnes Amies! : Embroidered Bright Tops for Summer! Some of our favorite and simple fun tops for summer....Love the turquoise embroidered top with this 100 % linen salmon pink tie skirt! Cool and comfortable for warm days ahead. These embroidered yoke tops in bright colors are the perfect top for a Summer day! Fringe-tipped tassels sway from the split neckline of a super-girly top enhanced by an embroidered yoke and cute cap sleeves. 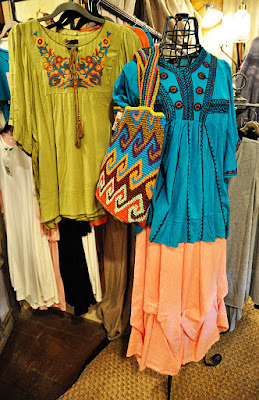 Bright and fun colors! Embroidered Tops $44.00 each one size fits all.